Doing the SEO work of these websites must be a crazy-hot mess. OR, IS IT? Of course, the search engine has hundreds of qualified professionals working on them. Google websites get no preference whatsoever on the result pages. The internal team working on them have no extra insights on ranking factors than any of us. Bringing uniformity in the SEO execution across all websites is not easy. Maintaining the same brand persona in contents and backlinks—again, not easy! If you do the SEO work of your website(s), you would understand these challenges well. 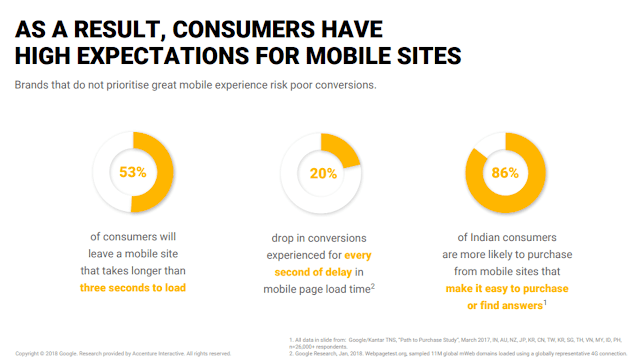 How does Google optimize its 7,000 websites? How do these websites rank higher on SERP for many competitive keywords? A couple of months back, Sean O’Keefe, a data scientist at Google, shared some insights on how Google approaches SEO for its websites on Think With Google. Along with those insights, there are a handful of other things that Google does, which keeps its websites in rock-solid positions on result pages. To put it all together, here are the SEO practices or strategy of Google for its 7,000+ websites that we all can learn from. Quite basic, sure. But at the end of the day, it all starts and ends with good quality contents. It’s difficult to spot poor-quality in Google’s resources. From grammatical and punctuation impeccability to the intent of the contents – everything fits well to scream “the best”. In short, there’s no other way around to the quality your communication medium – written, images or/and videos. It must be resourceful. Period. Produce targetted, relevant and superior quality contents. Recommended Read: Do you need to have a strong writing skill for blogging? Today, if you want to beat your competition, reach more people, keep your audience engaged and build a brand – it’s imperative that you produce an obnoxious amount of contents on your website. And that’s what Google does. It has a seamless resource of contents, from texts to images to videos. Everything you want to know about the advertisement, search engine ranking, marketing and more – Google has got you covered. So, produce high-quality contents in large volume… on your website and across different channels like social media, Medium, and LinkedIn’s Pulse. “It might sound simple, but focusing on small, incremental changes to a website’s overall SEO strategy really can produce noticeable gains over time,” writes Sean. Yes, content is king. Backlinks share the same rank. And then there’s RankBrain, which is now the new eye-candy in the SEO world. But there are so many other Google ranking factors that one must pay attention at too. This doesn’t mean you spend hours every day in these little details. BUT to get an edge and appeal the search engine well, you must brace up your website from every angle. Have you downloaded the latest and updated SEO Checklist of 2019? Click to download NOW. “The Google My Business marketing site, for example, saw a near 2X increase in organic traffic, partly because the team implemented a number of web fundamental best practices, such as showing search engines what URLs to index by implementing canonicals,” writes Google’s Sean O’Keefe. Google websites are very fast. They integrate well with the entire browsing ecosystem. They are reliable with zero downtime. And they are, of course, engaging. 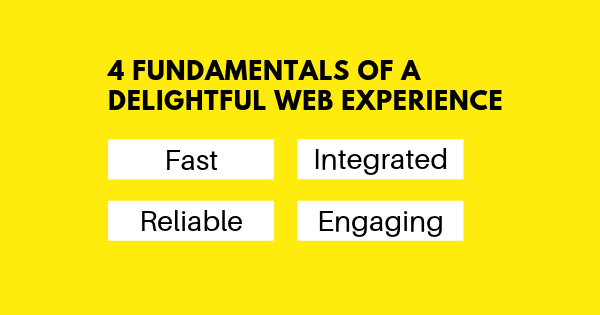 So, work around these 4 fundamentals when optimizing your website. Avoid too many “target=‘_blank’” or ‘open in new tab’ incidents. Install SSL certificate to duck security warnings. The world of Search Engine Optimization is fast changing. To stay ahead in the game, you must embrace these changes and keep on refining your Google SEO practices. “It can be easy to get overwhelmed by these changes, but internally we’ve found that the more we embrace them and experiment with them, the better our SEO results,” says Sean O’Keefe. 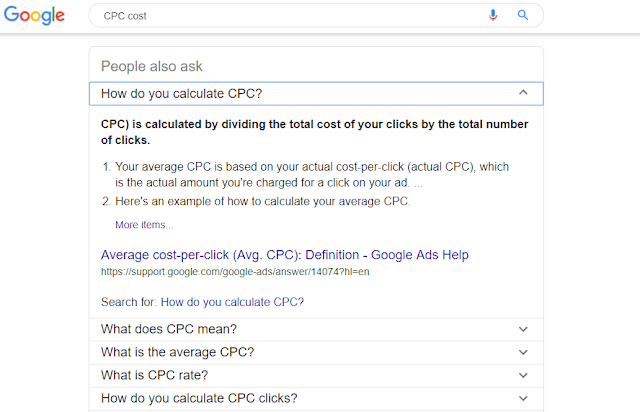 With this approach, Think with Google site managed to increase impressions on SERP by 200 percent and get more visibility on ‘Featured Snippets’. So, you must always keep a check on what’s new in the SEO scene, and then keep improving your own approach. Just like every component of digital marketing, split testing is the backbone even here. There are so many things you can do! If you aren’t seeing the desired or satisfying result with your existing SEO strategy, pop that comfort and try new things. For the record, duplicate contents do not “directly” hurt the search ranking. However, they do pose confusion to the users, as well as the search engines. And this eventually hurts their organic ranking. 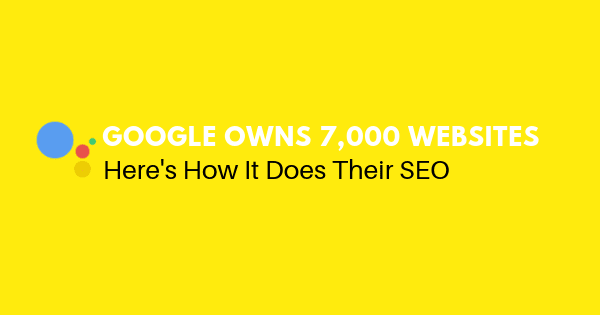 Since Google owns 7,000 websites, it’s fair to assume that they have many duplicate contents. To tackle this, they simply consolidated multiple websites/contents into one wherever it fits. As a result, in one of the cases, after cleaning six old websites and consolidating the contents into one, they managed to increase organic traffic by 64.2 percent and boost CTA click-through rate by 2X. So, if your website(s) is oozing with many duplicate contents, FIX THEM immediately. NOTE: Although you can use Canonical tags to deal with duplicate contents, it isn’t always recommended. More so for those who have large websites! When you use Canonicals, search spiders would still crawl your webpage. And this would waste your crawl budget. Wherever possible, consolidate your contents. Google treats subdomains as individual websites. Meaning, ‘blog(dot)website(dot)’ ‘price(dot)website(dot)com’ ‘contact(dot)website(dot)com’ – these will be treated as individual websites by the search engine. And this is a bad Google SEO practice, unless it fits your well-thought strategy or you have a very big website like Intel and Microsoft. You must merge all these under one umbrella to not only reap SEO benefits but also to bring consistency in your brand presence. You won’t find images on Google websites that are placed out of context or unnecessarily. They focus entirely on data visualization. At times they do use custom illustrations. But that’s it. They go with texts for the most part. Of course, this helps them look more professional and fit their brand image. Besides, it makes less sense to use images in descriptive, instructional and technical contents, which they mostly cover. But it still remains an interesting fact that a lot of Google websites don’t use too many images. Personally, I don’t buy this. I believe adding relevant pictures between paragraphs add visual appeal to the content and provide a “breather” or break to readers, which keeps them engaged. Point is, per Google’s SEO practice, don’t use images in your contents unnecessarily. Include pictures in your posts to add value to what you’re saying—and NOT for the namesake. Visuals are more powerful than words. If you’re talking about data, it’s best if you put forth that information through visuals. Like charts, graphs, maps and more. This way, the numbers are easy to consume or understand. And such data visualized images have very high shareability rate. There are many data visualization tools, software available that you can use. Like Tableau and RAWGraphs. But for the starters, instead of investing in premium tools, go with Microsoft Word/PowerPoint. They are decent to visualize basic data adequately. There’s a lot of discussions on how many links should we include in an article. How many to DoFollow and NoFollow. Google websites don’t seem to pay much heed to these details. Their contents are packed with DoFollow backlinks to different resources internal to their brand ecosystem. And the links are provided wherever and whenever needed with relevant, keyword-based anchor texts. Of course, this helps search spiders crawl these websites easily and thoroughly. Also, users find it convenient and helpful to navigate to relevant contents. So, if you lag in your internal link building game, it’s time now to ace that. You would think that such a high-authority brand won’t link to other websites. But that’s not the case. Google websites do link to other domains, wherever needed. And they provide DoFollow links. It’s a clear indication of how it aims to deliver good UX by providing users the best possible resources to resolve their problems. 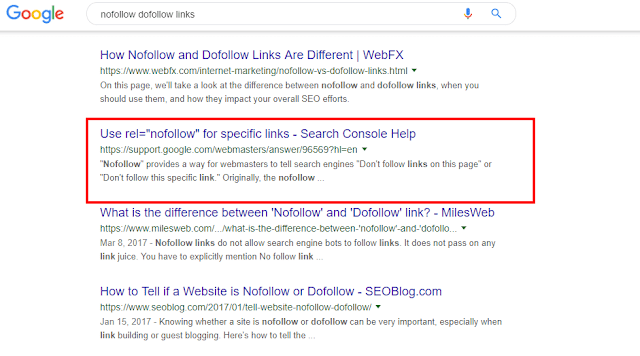 You, too, link to other authority, relevant websites with DoFollow links—even if it’s your direct competitor. 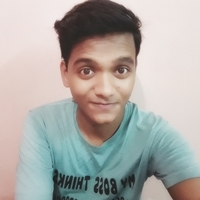 STOP worrying about leaking link juice to other domains. Recommended Read: Do Outbound Links Help SEO? Indeed, several studies have shown that Google prefers long-form contents. Per Backlinko, the average Google first page result contains 1,890 words. There are many other sources that suggest words count anywhere between 1000-3000. However, the length of contents on Google websites vary widely. Interestingly, the majority of them don’t look too big; under 1,000 words, in fact. This, of course, doesn’t bring any conclusive remark to the ongoing short vs. long-form contents. It does, however, break the perception that short-form contents aren’t good in quality – or that the never-ending articles are best in quality. People shouldn’t *obsess* the length of the article. They should rather focus on delivering value to the readers, which can happen in as less as 300 words OR take 10,000-word. Besides, isn’t that what search engines advice? So, if you follow the SEO approach Google and its 7,000 websites it’s that you shouldn’t obsess the length of your contents. Aim to provide good value, the rest will follow. User Experience Optimization is the NEW Search Engine Optimization. Google has long been contending for website owners to offer a good experience to the visitors. Its websites follow this preaching well and beyond. If you visit Google websites, you will find them not only helpful but also exceptionally satisfying to browse. They load fast. On small devices, they perform great. With a minimalist outlook, they look appealing to the eyes. The internal links keep visitors hooked and offer more help. ...keeps visitors active and engaged throughout the content. So, while as clichéd as it may sound, STOP optimizing for search engines and START optimizing for users. That’s the most straightforward way to win in the SEO game. Some of these points are mindful observation, others are direct words from the data scientist at Google. Of course, there’s much more to the Google SEO strategy and its 7,000+ websites. They must be doing a lot behind the curtains – the majority of which is likely on-page optimization. Like mentioned, it all starts and ends with high-quality contents. Optimizing your website is a continuous process – and NOT a one-time thing. It must progress, adapt and progress more. So, if you’re looking to increase your website ranking and grow organic traffic, the above-outlined SEO practices of Google will help you get a fair idea of what you should do now. If you found it helpful, please share this post on Facebook and Twitter.